The design of your windows is limited only by your imagination. We offer a wide variety of exterior trims to suit new construction or the demands of a unique renovation. Windows are available in a pre-finished color on the exterior. You can add a personal touch with a decorative grille. Virtually any type of grille pattern can be made, from simple to highly elaborate designs. Distinction Casement/Awning features a full 3 1/4" frame depth with a large section of exterior and interior trim options. Performance features such as multi- chamber profiles, modular frame assembly, Warm Edge glass spacer, Roto operating assembly, casement with multi point locking hardware, interior glazing and removable screens make the Distinction windows one of the best choices for those who seek top performance. The Vision Casement/Awning features a full 3 1/4" frame depth with integrated exterior trim. Performance features such as multi- chamber profiles, Warm Edge glass spacer, Roto operating assembly, casement with multi point locking hardware, interior glazing and removable screens make the Vision windows one of the best choices for those who seek great performance. The Distinction Single Hung features a full 3 1/4" frame depth with a large section of exterior and interior trim options. The lower sash opens vertically from the bottom and tilts for easy cleaning from the inside. 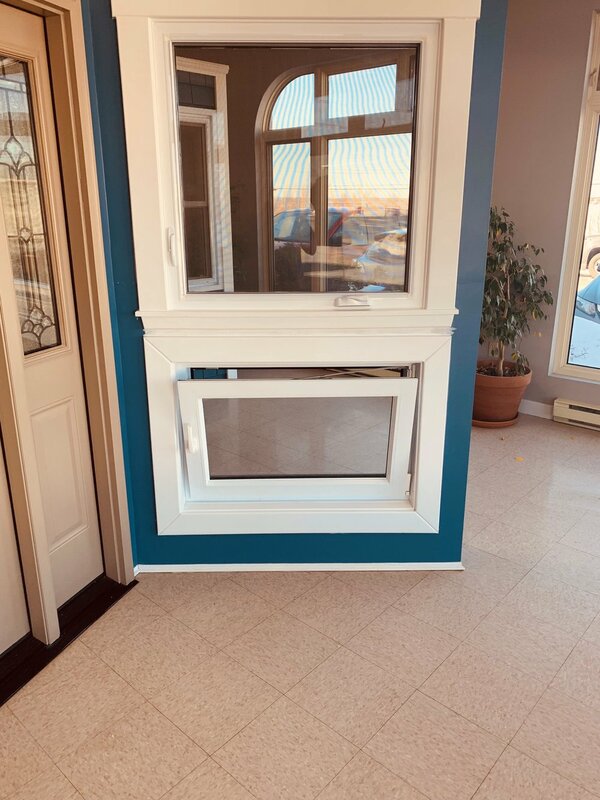 Performance features such as multi- chamber profiles, modular frame assembly, Warm Edge glass spacer, tilt latches with durable cam locks, interior glazing and removable screens make the Distinction Single Hung windows one of the best choices for those who seek top performance. The Vision Single Hung features a full 3 1/4" frame depth with integrated exterior trim. The lower sash opens vertically from the bottom and tilts for easy cleaning from the inside. Performance features such as multi-chamber profiles, Warm Edge glass spacer, tilt latches with durable cam locks, interior glazing and removable screens make the Vision Single Hung windows one of the best choices for those who seek great performance. The Distinction Double Hung features a full 3 1/4" frame depth with a large section of exterior and interior trim options. Both sashes open and tilt for easy cleaning from the inside. Performance features such as multi- chamber profiles, modular frame assembly, Warm Edge glass spacer, tilt latches with durable cam locks, interior glazing and removable screens make the Distinction Single Hung windows one of the best choices for those who seek top performance. Whether you're a window and door professional or a consumer looking for state-of-the-art products for your dream project, all of your expectations will be met with Lepage Millwork Windows. This product represents everything Lepage Millwork embodies: authenticity, premium materials and a look that leaves you breathless. The tilt and turn product line brings a touch of European styling to the North American market, manufactured in our warehouse!